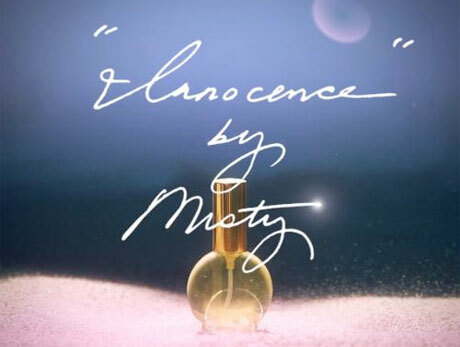 While Father John Misty (aka Joshua Tillman) is still out and about supporting his 2012 album Fear Fun, fans will be able to sniff out some new product from the musician later this summer in the form of a signature perfume called "Innocence." A press release confirms that Tillman has collaborated with Sanae Barber of SANAE Intoxicants perfume lab on the Eau de Parfum, which contains pure botanical fragrances of Sweet Orange Oil, Tunisian Neroli, Mimosa Absolute, Violet Absolute, Jasmine Grand, Bourbon Vanilla and Linden Blossom. "Innocence" will initially be issued in a limited-edition run of 300 bottles, which arrive this August. Pre-orders are being taken now over here. Down below, you can learn more about the female perfume in a video trailer, which features a muzak version of Fear Fun's "Nancy from Now On" and has Tillman and the SANAE team discussing scents. Getting back to Tillman's music career, he's also just revealed a video for Fear Fun opener "Funtimes in Babylon," which was co-directed by him and Grant James. You can peep the performer wandering, smoking and dancing around a wreckage-filled junkyard down below. Additionally, Father John Misty heads out on tour later this week, with upcoming stops scheduled in Quebec City, Toronto and Montreal. You can find out the details just above the videos.